I am pleased to let our readers know that there is now available, through the kindness of Mr. Philip Smith of Notre Dame University, in Latin and English, the ceremony for the creation of a Master of Sacred Theology as bestowed by the Order of Friars Preachers. The "Form for Creating a Master of Sacred Theology"may be consulted or downloaded. The rite for this ceremony has remained unchanged since 1690, with the exception of the "Profession of Faith," which is that most current. This title is an honorary one, granted by the Master of the Dominican Order, on the recommendation of his Council. Today the prerequisites are ten years of teaching at the graduate level and the publication of at least one book postively reviewed in international journals and of several articles in refereed academic journals. A friar with these qualifications may then be nominated by the prior provincial and council of his province. This academic title dates back to 1303, when Pope Benedict XI, a Dominican himself, created the rank so that the Dominican Order could independently grant the faculty to teach theology, without having the candidate approved by a university theology faculty. In the past an S.T.M. automatically sat on the council of his province and had privileged voting rights. The current publishing requirements did not exist. The political value of the privileges sometimes caused the nomination of friars for reasons other than academic excellence. The voting rights were abolished by the Dominican General Chapter of 1968, and the title today is wholly honorary. 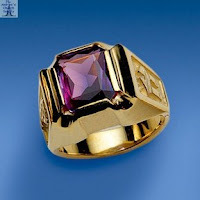 Ceremonially, the granting of the ring formally creates the candidate as a Master of Sacred Theology, although, in fact, the Master may use the title from the day on which it is granted by the Master of the Order and his Council. The one officiating then seats the candidate in the chair and announces his appointment as a Master. He places on the new Master's head the "black biretta" which is the insignia of a Master. 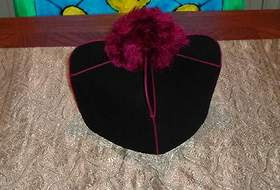 The current practice is to use a black biretta with red-purple piping and pom-pom, as can be seen here. As the biretta of a doctor, it has four fins, not three as is the case for the biretta of a license or a clerical biretta. Originally this biretta was probably totally black and had no pom-pom or trim. 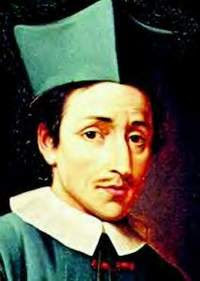 An example of such a biretta may be seen at the beginning of his post, in the seventeenth-century of the Blessed Neils Stensen, convert, biologist, and bishop--who is not a Domincan as can be seen from his garb. The presider then turns to those assembled and announces: Behold the fragrance of my son is like the fragrance of a field in bloom; may the Lord cause you to increase by thousands, and may he bless you for all eternity. Amen. The new S.T.M. then rises and delivers his inaugural lecture. Those who are in the San Franciscan Bay Area on November 15, 2008, may see this ceremony performed at 11 a.m. in the Western Dominican Province House of Studies, at St. Albert the Great Priory in Oakland.